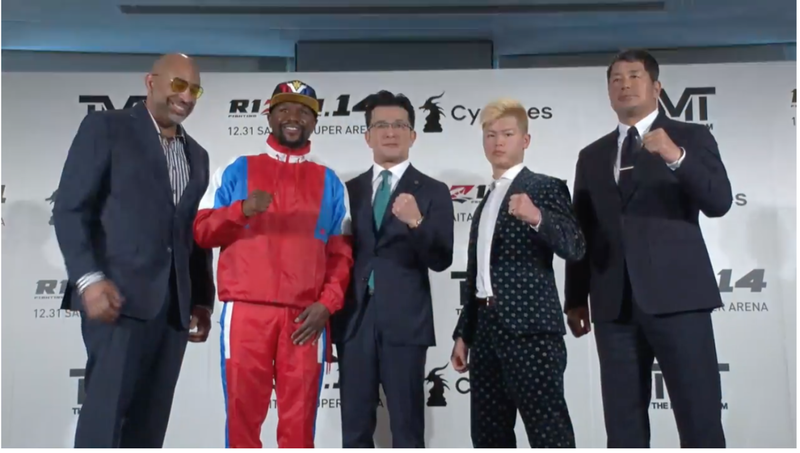 When Floyd Mayweather made an appearance Sunday night at a RIZIN press conference to announce some sort of fight with kickboxer Tenshin Nasukawa on New Year's Eve, it was a surprise to the combat sports world. "Now that I am back on U.S. soil after a long and disappointing trip to Tokyo, I now have the time to address you, my fans and the media in regards to the upcoming event on December 31st that was recently announced. First and foremost, I want it to be clear that I, Floyd Mayweather, never agreed to an official bout with Tenshin Nasukawa. In fact (with all due respect) I have never heard of him until this recent trip to Japan. Ultimately, I was asked to participate in a 9 minute exhibition of 3 rounds with an opponent selected by the "Rizen Fighting Federation". I want to sincerely apologize to my fans for the very misleading information that was announced during this press conference and I can assure you that I too was completely blindsided by the arrangements that were being made without my consent nor approval. For the sake of the several fans and attendees that flew in from all parts of the world to attend this past press conference, I was hesitant to create a huge disturbance by combating what was being said and for that I am truly sorry. I am a retired boxer that earns an unprecedented amount of money, globally, for appearances, speaking engagements and occasional small exhibitions." At the press conference, there were questions about the type of fight it would be, the amount of rounds, weights, gloves, the amount of money Mayweather would be commanding for the fight, and more, but he did or said nothing at the time to lead people to think a fight wasn't happening. RIZIN has not publicly commented on Mayweather's statement as of this writing.